Chadwick International announced a leadership change aimed at further advancing the school’s ‘one-school-two campus’ system and global education. Mr. Charles H. Sachs is named the new headmaster of Chadwick International, effective for the new 2013-2014 school year. With extensive background as a dedicated educator for more than three decades, Mr. Sachs will be responsible for working with the executive and leadership team to manage Chadwick International to achieve the five core values and philosophy while providing smooth transition, combining the system of two schools into one with his broad experience and expertise. 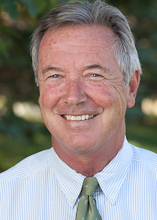 With his well-honed leadership skills, broad perspective, and team approach, there will be an increased amount of collaboration between the educational programs at Chadwick International with those at Chadwick School along with an implementation of American independent and private school system to further emphasize the significance of global education. Although his primary career background is set in the US, he also spent some time abroad, serving in the Peace Corps in Tunisia and teaching at the International School of Nairobi in Kenya. Sachs holds an impressive array of career background and is well regarded in the American independent and private school system with his outstanding leadership through various positions. He has been the Associate Head of School and Upper School Head at Hawken School in Ohio, the Head of School at both Pulaski Academy in Arkansas and Barstow School in Missouri. He was also an English Department Chair at both Pomfret School in Connecticut and Cardigan Mt. School in New Hampshire, and the Dean of Students at Cate School in California. A graduate of Hawken School, Sachs holds BA and MA in English from Colgate University in New York and Middlebury College in Vermont, respectively. He is currently serving in his sixth year as the Head of School at Park City Day School in Utah. Sachs has rebranded the school, merging it with another local private school and reversing its enrollment and financial predicament. The inaugural year of Charles Sachs as the new headmaster will begin at the fall semester of 2013.